I am often asked why I named the company, “Mitaka“ (literally means “three heights”). I like the number three because it is well-balanced. For example, three points are always on the same plane. Four or more points are not necessarily so. If one of the four legs of a table is 1 cm shorter than the others, the table will be wobbly. On the other hand, a three-legged table is always steady. 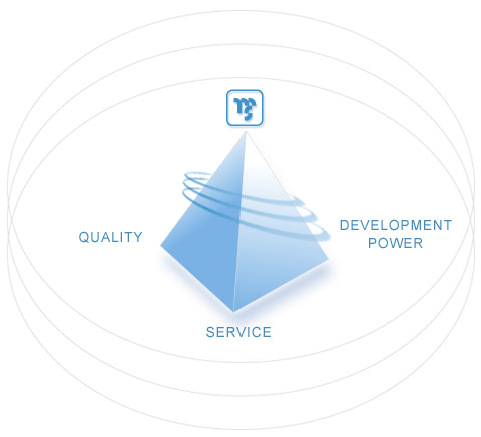 As our corporate name implies, we strive to make our company well-balanced by achieving higher customer satisfaction in the following three areas: quality, service, and development power. Parking lot available for visitors.